For a game that allegedly had so much resting on it for both parties it couldn’t have been more poorly attended if they had announced the kick-off as being next month. 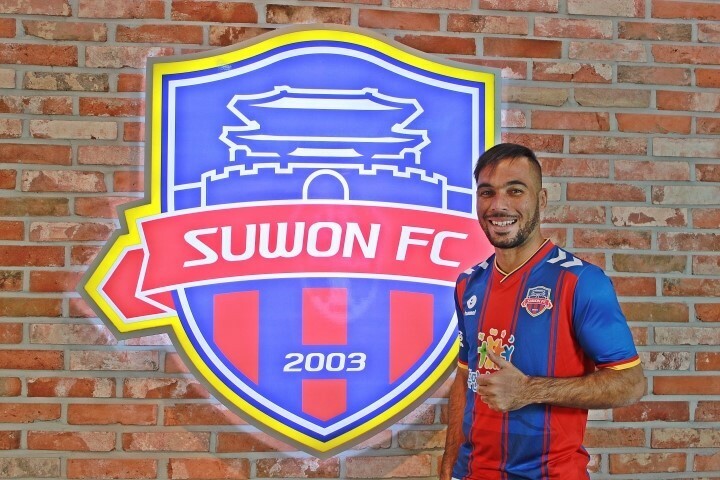 The first time these two teams met at the home of Suwon FC there were over 12,000 in attendance, today the official number was quoted as 3000 though that may include most fans twice…..at least. The best skyscape in Korea? The game itself was a relatively entertaining one with Suwon FC stalwart @chiefinkorea texting me at half-time that this was indeed a good game from a red and blue perspective this season.It went in goalless at HT and, if truth be told, Suwon could have been ahead as they carved open the Seongnam defence a couple of times towards the end of the half. Alex especially seemed up for the game although as informed by the chief this was a mostly 2nd string team put out by the hosts so the majority of the American’s hard work went un-matched by his domestic partners. Alex in potentially happier times! HT came and went without the usual Trot music entertainment that has become as synonymous with Suwon FC as their more than glorious floodlights and so it was that the 2nd half started rather more abruptly them normal. 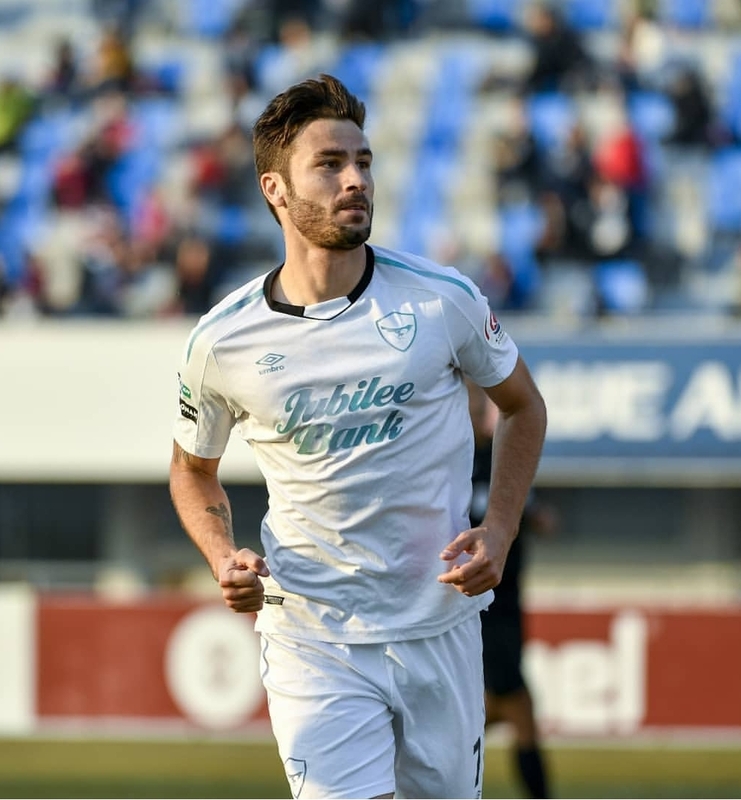 Seongnam, much like last week against Daejeon, started the better team and there was a certain air/feeling among the travelling contingent that their heroes’ endaevors may finally see the end product. And said ‘end product’ was almost delivered in the 51st minute as captain Seo Bo-min struck a free-kick off the corner of the post which then bounced along the goal-line to safety. The Suwon fans sighed a deep breath of relief but it was a breath that wouldn’t be held until the final whistle unfortunately. As the game was approaching the final 20 minutes or so the deadlock was broken by a moment of absolute brilliance from Seongnam’s talismanic Brazilian Eder as he first back-heeled the ball to create the move before making up the ground to finish it with a beautiful shot past the Suwon keeper to send the visiting fans behind the goal into raptures and home with dizzy dreams of promotion and that long awaited trip to Suwon World Cup Stadium. 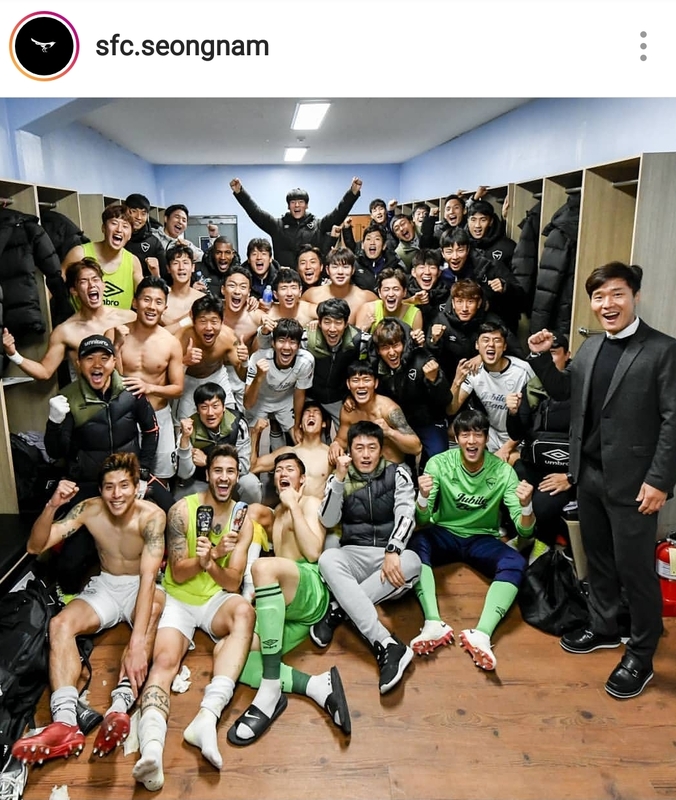 The rest of the game was mostly dealt with in midfield or maybe that was the pre-match Soju finally kicking in but either way the game finished 0-1 and those 3pts are enough to secure Seongnam 2nd spot in the table and whatever glories may or may not await them come 4pm next Sunday. The players receive their hard-earned adulations! All K2 eyes will now be on K-League HQ as the blazers in charge decide the fate of those who have battled a long and arduous season, the fan in me says that Seongnam have done enough to deserve to take Asan’s position, the blogger in me says that the Police should be given another year to phase themselves out….one thing is for sure “K2 is where it’s at”.